Jorge Augustin Emmanuel, Ph.D., Adjunct Professor of Environmental Science and Engineering at Silliman University, has been recognized by Marquis Who’s Who Top Scientists for dedication, achievements, and leadership in science and higher education. A celebrated figure in the fields of science and education, Dr. Emmanuel has amassed 45 years of professional excellence in his areas of expertise. An adjunct professor in the Institute of Environmental Marine Sciences and the College of Engineering and Design at Silliman University since 2016, Dr. Emmanuel teaches environmental science and engineering. Prior to this appointment, he was the president of the Environmental and Engineering Research Group in El Cerrito, CA, from 1991 to 2015, a medical waste expert with the Ebola Emergency Response Program at the United Nations from 2014 to 2015, and a chief technical advisor with the UNDP GEF Project on Healthcare Waste at the United Nations from 2008 to 2014. Likewise, he was a healthcare waste technologies consultant with the International Environmental Technology Center at UNEP DTIE from 2011 to 2012, a POPs destruction consultant with the UNIDO FED POPs Non-combustion Technology Project from 2002 to 2007, and a manager of the environment and safety program at TEM Associates from 1988 to 1991. In addition to these myriad roles, Dr. Emmanuel was formerly an Amoco Research Fellow in chemical engineering at the University of Michigan from 1981 to 1984, a research engineer in the chemical laboratory of the Corporate Research and Development Center at General Electric from 1978 to 1981, a chemical engineering researcher at North Carolina State University from 1977 to 1978, and a plant supervisor and process engineer in the Electrochemical Plant at Perry Electronics from 1973 to 1974. He commenced his career as a biomedical laboratory technologist at American Blood Components in 1973. Dr. Emmanuel has further participated in a number of civic engagements, working as the vice chair of the Technical Working Group on the Dumpsite Closure Plan and Landfill in the Philippines from 2017 to 2018, on the board of advisors and board of directors of the Filipino American Coalition for Environmental Solidarity between 2000 and 2015, and chair of the board of directors of the Philippine Environmental Support Network from 1990 to 1993. On the board of advisors of the Environmental Restoration Advisory Board in Alameda, CA, from 1980 to 1990, he has additionally been affiliated with the Asia Pacific Center in Washington, DC, the U.S. Working Group for Philippine Bases Clean-up, the Philippine Action Group on the Environment, Friends of the Filipino People, the Filipino American Society of Architects and Engineers, and Amnesty International, among others. To prepare for his illustrious career, Dr. Emmanuel pursued an education at the Institute of Computer Technology in Guam, earning a certificate in computer programming in 1971. He subsequently attended North Carolina State University, where he received a Bachelor of Science in chemistry and Master of Science in chemical engineering in 1976 and 1978, respectively. He subsequently transferred to the University of Michigan, where he earned a Doctor of Philosophy in chemical engineering in 1988. He has since been certified in public health, hazardous materials management, health and safety procedures for hazardous waste site operations, and hazardous materials management. In addition, he is a registered professional engineer in the State of California, a registered environmental professional, a certified environmental and safety compliance officer, and a diplomate of environmental sciences. A contributor of articles to professional journals, Dr. Emmanuel has written 24 United Nations and World Health Organization guidelines. He has worked with more than 40 countries on environmental issues, including many countries regarding the Ebola outbreak in 2014 and 2015. In addition, the United Nations and World Health Organization asked him to develop a website for public access, which will be translated into six different languages. In recognition of his exceptional contributions to science and higher education, Dr. Emmanuel has accrued several accolades throughout his career. The winner of the Plaridel Award for International Reporting by the Philippine-American Press Club in 2015, he was given an Award of Recognition by the Filipino American Coalition for Environmental Solidarity in 2012. In addition, he was inducted into the Order of the Engineer by the School of Engineering at South Carolina University in 2010 and was named Most Outstanding Asian-American Engineer of California by The Asian Voice in 1991. 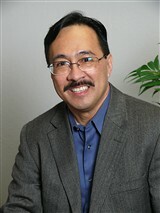 The winner of two Service Awards from the Filipino American Society of Architects and Engineers in 1990 and 1991, he also was the recipient of the Amoco Research Fellowship in Chemical Engineering and the Linder Memorial Engineering Prize from the University of Michigan from 1981 to 1984 and in 1988, respectively. Dr. Emmanuel has also been honored with a plethora of other awards throughout his career from the United Nations, the American Institute of Chemical Engineers and Kiwanis International, among other institutions. Prev Søren Brøgger Christensen, Ph.D.
Next John B. Enns, Ph.D.